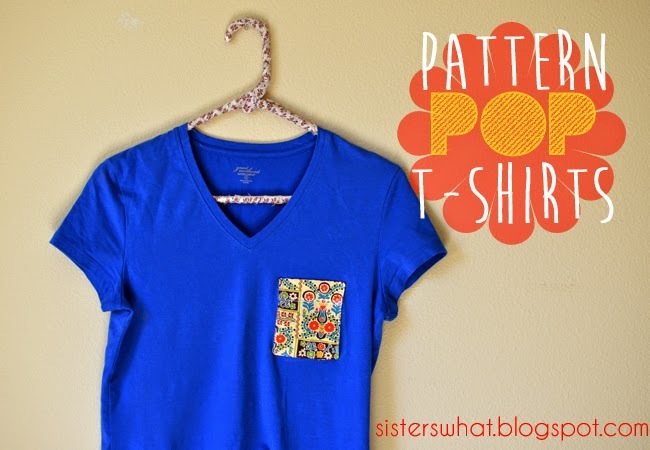 ' Pattern Pop Pocket T-Shirts - Pinterest Challenge Saturday - Sisters, What! Another Saturday and another pinterest idea completed. I've been eyeing these shirts on pinterest for forever and seriously they've been talking to me "come on make me, you know you'll wear me all the time..." True story. And guess what, I've now made two and I've already worn them multiple times in sequential days (if they don't smell...) and they've each been through one wash. And I've just made made them last week. I say that is love at first make (that totally makes sense right?). yes, they are wonderful. 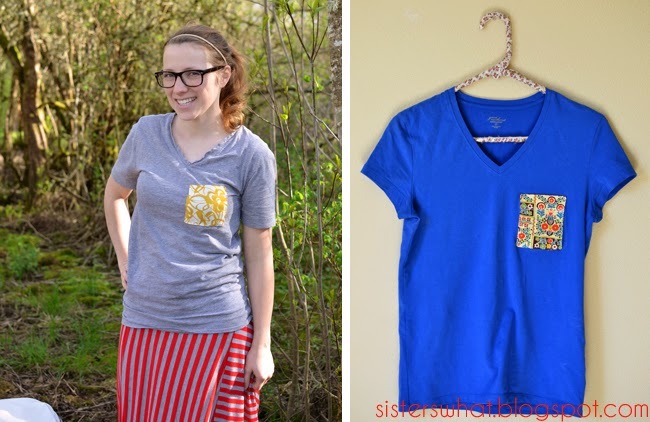 My husband thinks I'm crazy and is convinced that all my shirts will soon bear these random looking pockets. He might be right. Maybe I should start a t-shirt pocket club. //1// grab an old or new t-shirt. Next dig through your fabric scraps to find one about 4x6 inches. 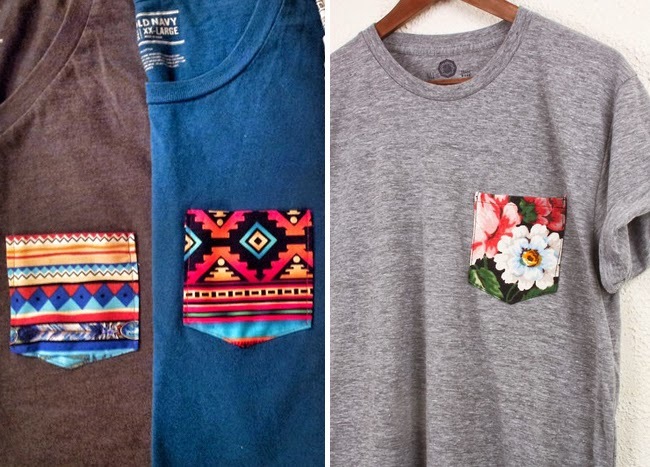 //2// If you happen to already have a shirt with a pocket, use that as a guide for cutting your pocket. Remember to add 1/4 inch for seam allowance. If you don't have a pocket, draw one out on a paper to the size you want. Or you can use my dimensions: 4x6. 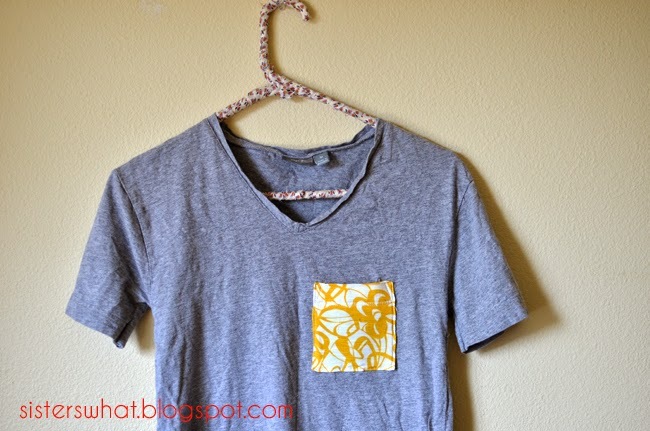 //3//Fold the top down an inch and turn the sides and bottom in a 1/4 inch then press with iron. 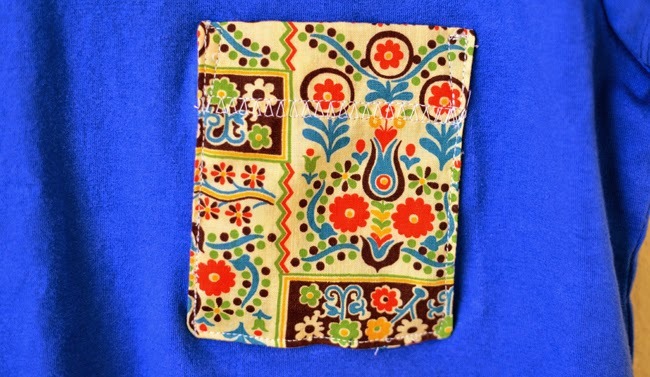 Before attaching to shirt, sew the top with a double stitch or zig zag (see picture below). 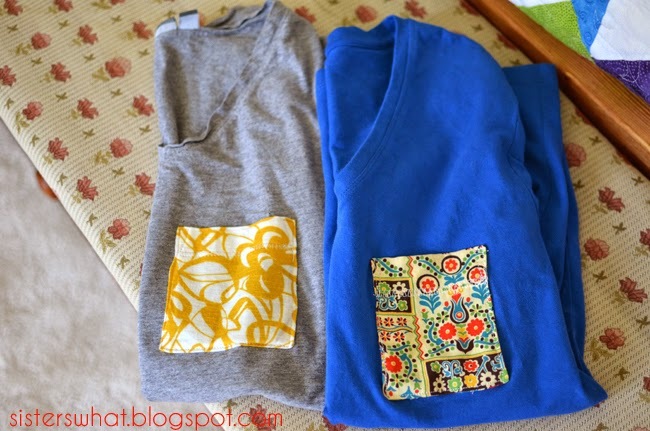 Now attach to the shirt by sewing the pocket from one side and around to the other side. Follow Stripes and Polka Dots's board Pinterest Challenge on Pinterest.